Utilizing the human object as his primary vehicle, Kelsey Duncan explores the resilient nature of the human experience and the complex politics of the human body. His most recent work celebrates the men and women of contemporary, small-town burlesque culture. He is drawn to the concept of performative empowerment as a means of taking control of one’s environment. He ultimately proposes a more inclusive way of looking at bodies and the people they represent, some of which are often distorted by a lens colored by stereotypes and destructive tropes. Kelsey received his MFA from Ohio University and his BFA from The University of Montana. 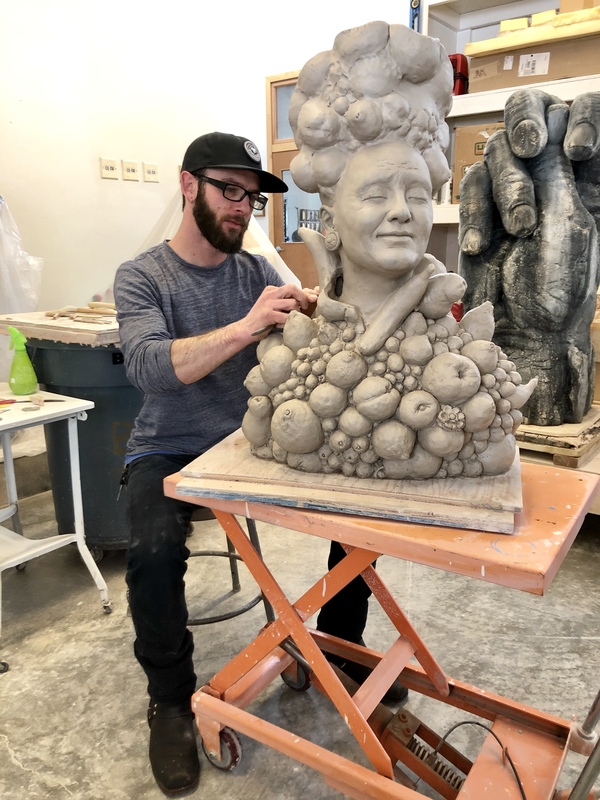 He has been an artist in residence both nationally and internationally and has taught at Ohio University and the 92Y and Clay Art Center in New York. He returns to the Bray following a summer as a 2017 Windgate Scholar and currently as the 2018 Speyer Fellow. To view more work by Kelsey visit his website at kelseyduncan.net.